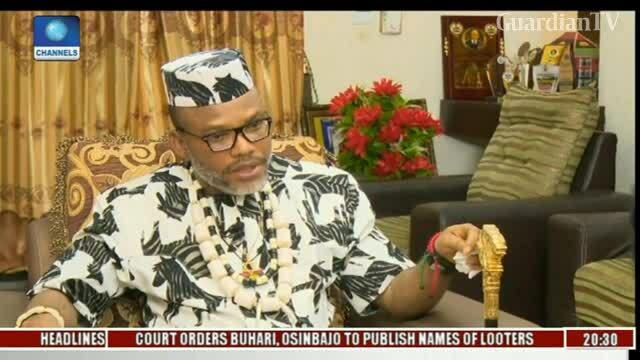 Nnamdi kanu speaks on agitations for Biafra. what every right-thinking Igbo, living in the North ought to do at this time is not to constitute a stumbling block to the plan of the Arewa youths to move out of the Nigeria where they are lumped together with, to use their own words, “acrimonious, ungrateful, unruly, uncultured and stubborn” Igbo. Actualising this threat beginning from 1st of October is the challenge, facing the Arewa. If the Igbo move out of the North peacefully, as they have been given the opportunity to do, the Arewa will have no reason not to go ahead with their plan to end their union with the Igbo by leaving Nigeria. It will be interesting to see how the North will carry out this agenda. Apparently in recognition of the fact that they have overstepped their bounds, the Arewa youths have begun to amend their position. 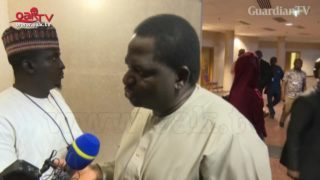 From their earlier threat to disengage from the Nigeria where they currently cohabit with the Igbo, beginning from1st OF October, the Arewa people in their letter to the Acting President, Prof. Yemi Osinbajo, are asking the Federal Government to conduct a referendum in the South-East in order to give the Igbo the opportunity to have their Biafra. This is a clear shift from their earlier position. What can be deduced from here is that the Arewa youths may have acted on impulse initially. They are beginning to face reality. That is why they are shifting the responsibility of dividing Nigeria to the Federal Government. But whatever they may decide to do beginning from 1st of October, the Igbo in the North should not provide the Arewa the reason to divert attention from the agenda they have set for themselves. The Igbo should leave the North first and return later to talk about their trapped investments whether Nigeria remains united or not.